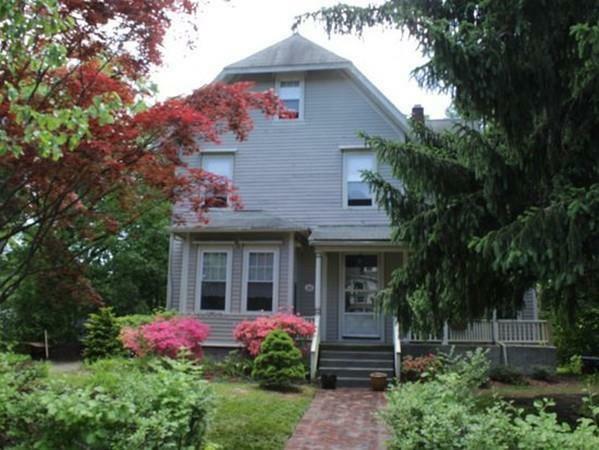 For sale by Owner: No agent representation Auburndale Victorian in desirable Lasell neighborhood.1880's home with 4 bedrooms and 2 baths, period details such as high ceilings and hardwood flooring throughout. Enjoy your brick patio overlooking a lovely/large backyard with a detached 2 car garage. Plenty of closet space and storage in the basement. Many upgrades, including gas heat/steam and AC. Plenty of room. You owe it to yourself to see this house. Near the Williams elementary school, the Auburndale shops, the commuter rail and the Riverside green line. with the Mass Pike and 128/95 nearby. Listing courtesy of Doriana Chialant of Doriana Chialant. Listing provided courtesy of Doriana Chialant of Doriana Chialant.